Is Gluten a Cause of Brain Fog? Brain fog is recognized as a symptom of fibromyalgia and chronic fatigue syndrome. However, people with celiac disease and other autoimmune conditions, such as multiple sclerosis and rheumatoid arthritis, also report problems with brain fog, as do people with non-celiac gluten sensitivity. But what exactly is "brain fog"? Can gluten cause brain fog? People with brain fog often feel tired, even though they just got out of bed. They might fumble in conversations or suffer from writer's block, even if they're normally creative and well-spoken. Their thoughts seem to come slower than they would normally, and their creativity is sorely taxed. 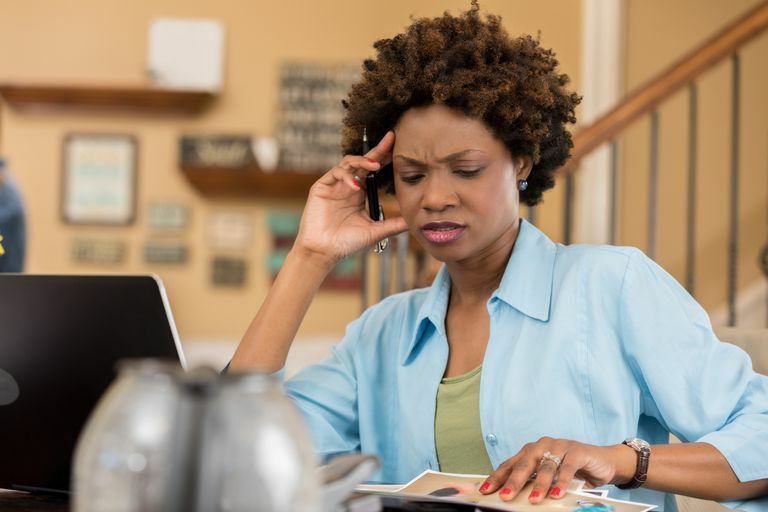 Completing tasks—even simple tasks—can represent a challenge, and they might struggle in employment or in personal situations due to their brain fog, if it's bad enough. In severe cases, someone with brain fog can even get lost on the way home from the store. There's no official medical definition of brain fog, but you know it when you have it. Most people focus on the digestive symptoms of celiac disease and non-celiac gluten sensitivity, and with good reason: diarrhea, constipation, cramping and abdominal pain that can accompany accidental gluten ingestion are pretty unpleasant. But brain fog that occurs in concert with digestive symptoms can be just as debilitating. Brain fog is a condition that's tricky to quantify, although my guess is you know when your brain isn't functioning at its best. Symptoms of brain fog can appear together or separately but often overlap. For example, a writer may have difficulty writing when she has brain fog, since she may not be able to write as well, and her creativity may be compromised. How Common Is Brain Fog in Celiac and Gluten Sensitivity? You may not find brain fog on the short list of common celiac disease symptoms, even though many people with celiac disease report it. Some newly-diagnosed celiacs have told me they suffered from brain fog for years, although they didn't realize it until they started to eat gluten-free. But despite this, it's not clear whether gluten causes brain fog, or what mechanism might be involved. Mild deficiencies in cognitive functions actually can be measured. In fact, studies of people newly diagnosed with celiac disease show that those mild deficiencies—which involve slight impairments to memory, attention, executive function, and the speed of cognitive processing—actually improve over the first year, as those newly diagnosed people begin eating gluten-free. "Thus, cognitive impairments associated with brain fog are psychologically and neurologically real and improve with adherence to a gluten-free diet," said one researcher at Monash University in Melbourne, Australia who looked at this issue. However, the researcher also noted that it's not clear whether the problem truly is gluten: "There is not yet sufficient evidence to provide a definitive account of the mechanism by which gluten ingestion causes the impairments to cognitive function associated with brain fog, but current evidence suggests that it is more likely that the causal factor is not directly related to exposure to gluten." Regardless of the cause, brain fog may be even more common in those with non-celiac gluten sensitivity than in those with celiac disease: Dr. Alessio Fasano, director of the Massachusetts General Hospital Center for Celiac Research, said in an interview with Verywell.com that brain fog affects about one-third of his gluten sensitivity patients. In those who have been diagnosed for a while, brain fog seems to stem directly from ingestion of something that has gluten in it, and it usually dissipates as the other effects of a glutening wear off. Those whose diagnoses are recent—who therefore may make more mistakes on the gluten-free diet—probably report it more frequently than multi-year veterans, although it can happen to anyone. You won't find much written by medical professionals about brain fog in celiac disease in the medical literature, even though it can have an impact on your quality of life, especially when you're first diagnosed. In some cases, your fuzzy-headedness may be related to the fatigue and sleep problems that can occur with celiac; after all, if you're exhausted but can't get a good night's sleep, you're unlikely to function at your best level mentally or physically. It may also be related to nutritional deficiencies; several common deficiencies for new celiacs involve vitamins related to brain function. There's some evidence that celiac disease may be linked to long-term cognitive decline, but it's not clear whether that possible risk is related to the short-term mental problems you might experience when you accidentally ingest gluten. So what can you do to sharpen your thinking? With celiac disease and brain fog, your best bet is to stay strictly gluten-free, without cheating on the diet. Most newly diagnosed celiacs will experience relief from their brain fog symptoms pretty quickly, and find that their fuzzy head stays away unless they accidentally ingest gluten. If you accidentally get into some gluten, you may feel fuzzy-headed for a day or two. To recover, your best bet is to get plenty of rest, dial back your activities if you possibly can, and simply wait for the brain fog to pass. Yelland GW. Gluten-Induced Cognitive Impairment ('Brain Fog') in Coeliac Disease. Journal of Gastroenterology and Hepatology. 2017 Mar;32 Suppl 1:90-93.